CyHi brings back Side A and Side B for his latest recordings. Peep the descriptions for each and stream the cuts below. The DAT Tape singles star Cyhi The Prynce with a special appearance on Side B from Caskey. Producers Jonathan Hay, Mike Smith and King Tech produced these two singles with a throwback concept of Side A / Side B singles on an old school DAT Tape. Now available through Spotify and Jay Z’s Tidal from the album When Music Worlds Collide, these songs were mixed to DAT Tape, which is the reason why they have the sonic personality that they do. Side A’s “I’ve Been Waiting” feat Cyhi The Prynce and Shalé is part of the reality series “The Haymaker”. 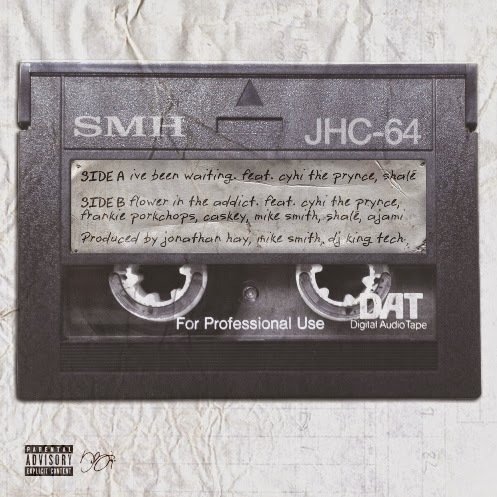 The DAT Tape singles were produced by Jonathan Hay, Mike Smith and King Tech of Shade 45.